86% agreed it helped reduce the appearance of under-eye pufﬁness. Be nice to your skin. Gently wash away makeup, excess oil and dirt without irritating or over-drying the skin with this extra-gentle, sulfate-free cleanser, formulated with only the most essential ingredients. Get seriously soothing moisture with this facial moisturizer that feels weightless and absorbs quickly, leaving the skin feeling soft and nurtured. Formulated to help provide refreshing, hydrating relief from tightness, dryness and discomfort. Hello hydration! This gentle, ophthalmologist-tested eye gel glides on with our cool roller ball applicator for an instantly refreshing feel. Helps reduce the appearance of puffiness and hydrates the eye area for smoother-looking skin. 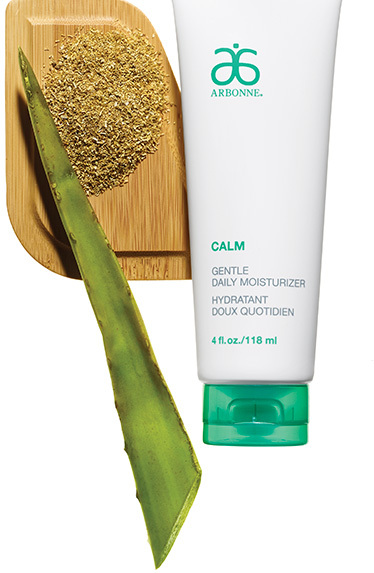 Aloe vera, cucumber, licorice, mallow, chamomile and sea mayweed soothe, comfort and moisturize the skin. Contains naturally derived and food-grade ingredients. Extra-gentle formulas help soothe easily irritated, sensitive skin by providing hydrating relief.